Balcony accessible from both the living room and master bedroom. Balcony view Balcony accessible from both the living room and master bedroom. Living area. Living room has sleeper sofa and covered oceanfront balcony Open dining and living areas. Living room has sleeper sofa and covered oceanfront balcony Open dining and living areas. Living room has sleeper sofa and covered oceanfront balcony Open dining and living areas. Living room has sleeper sofa and covered oceanfront balcony Dining area Dining area and kitchen Kitchen Oceanfront master bedroom with king bed, private bathroom and access to balcony. 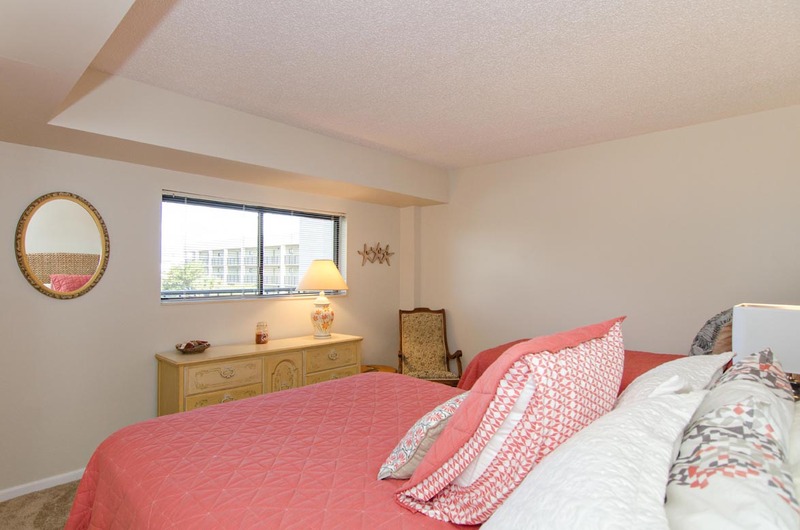 Oceanfront master bedroom with king bed, private bathroom and access to balcony. Oceanfront master bedroom with king bed, private bathroom and access to balcony. Master bathroom Guest bedroom with 1 twin bed and 1 queen bed. Guest bedroom with 1 twin bed and 1 queen bed. Guest bathroom Beach side view of condo complex. Community pool area Beach view of complex. Beach area Community tennis court. Street view of condo complex. 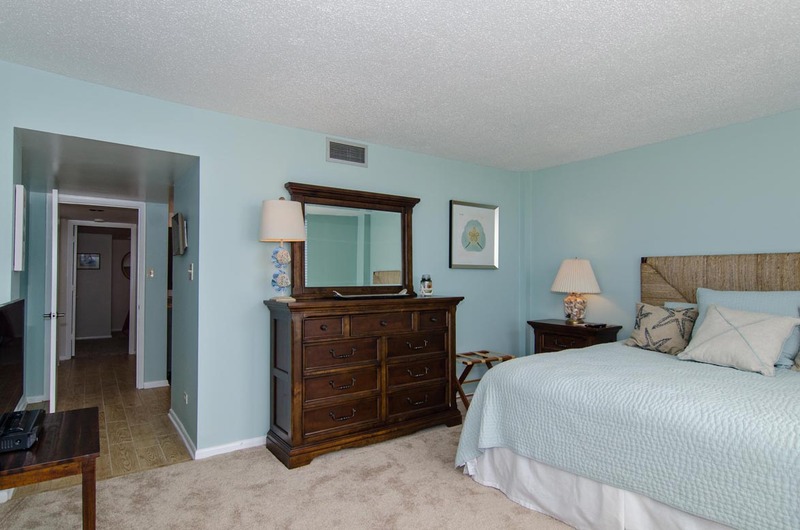 Station One unit 2/C - Kids young and old will enjoy a Wrightsville Beach vacation in this 2 bedroom, 2 bath 2nd floor condo in Station One. It has been beautifully remodeled with open kitchen/dining/living area, new floors throughout and both bathrooms totally redone. 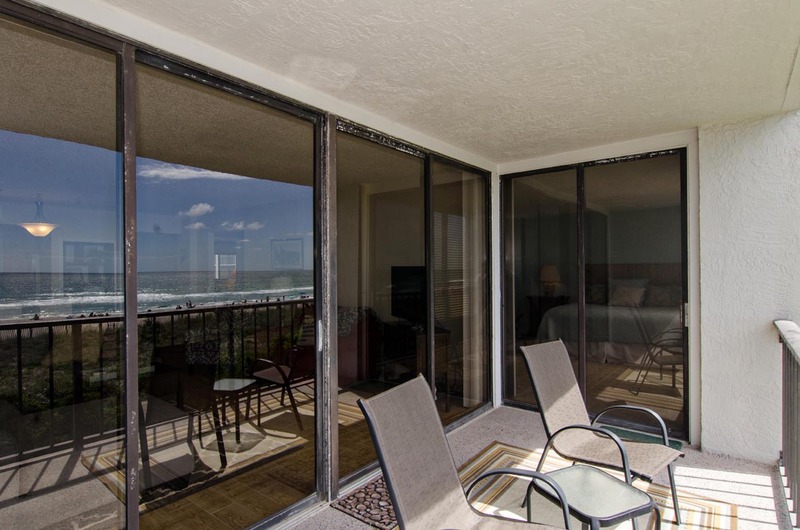 Enjoy superb ocean views from all main rooms in the condo and a great oceanfront private balcony. There is lots to do at Station One! Lounge by the pool, play a match or two on the tennis courts, and of course, the ocean is right there! There is parking for 2 cars in the street side parking lot. Occupancy: 6. No Smoking. No Pets. We thoroughly enjoyed our stay in 2C in Station One. The view of the beach was amazing and the condo was extremely comfortable and nicely decorated. 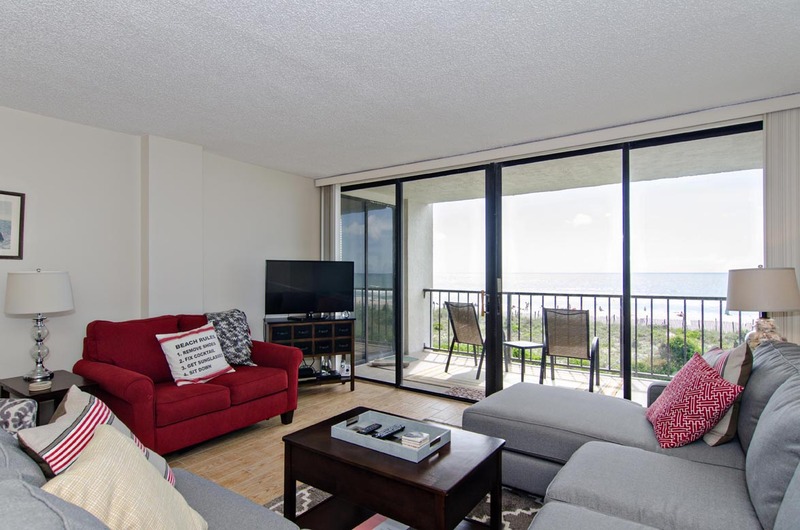 Great 2 bedroom condo with pretty ocean view. Kitchen well equipped for those that like to cook and eat in. Living space ok, not crazy about the L Shape sofa seating, but plenty of sitting area on sofa. 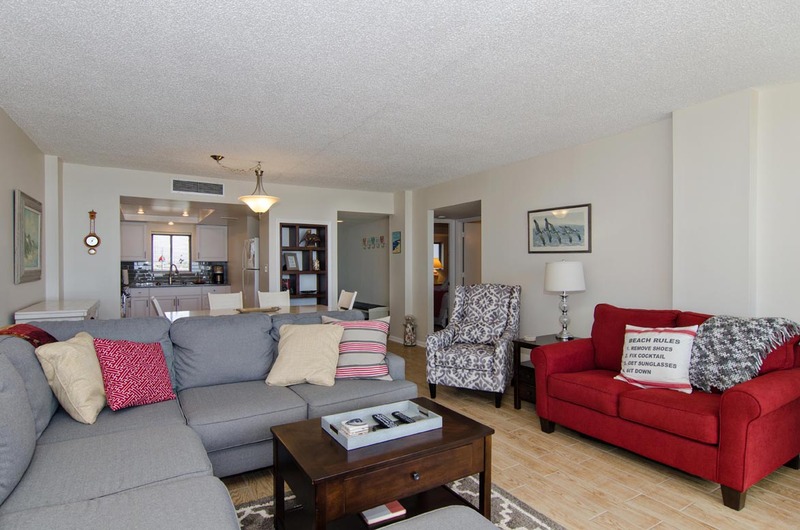 Very nice 2 bedroom condo, waterfront, and comfortable. Only issue is that Station 1 is locked down like Fort Knox. You are given 2 sets of keys but if you are all adults going in different directions the key situation gets challenging. This is our 3rd year in a row staying in this unit. Always well maintained. 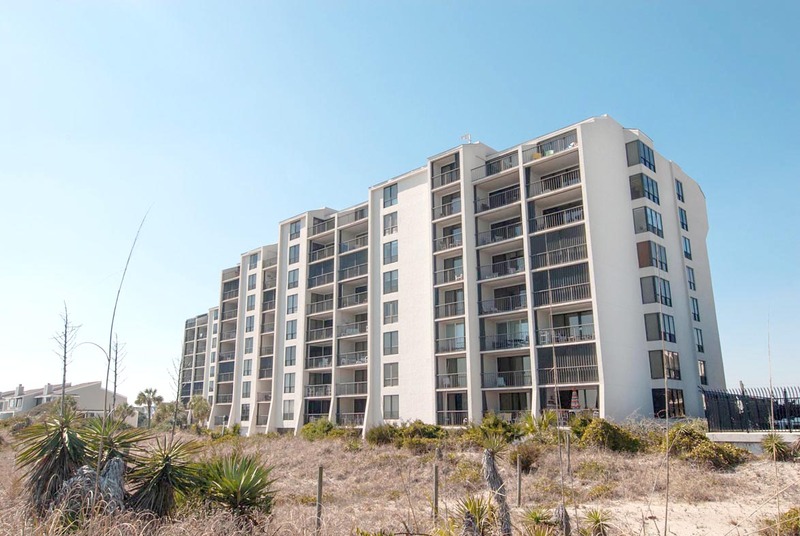 Rented a 2 br unit at Station One in Wrightsville Beach. Love this complex with a pool and oceanfront view. Bryant Real Estate was wonderful to work with. 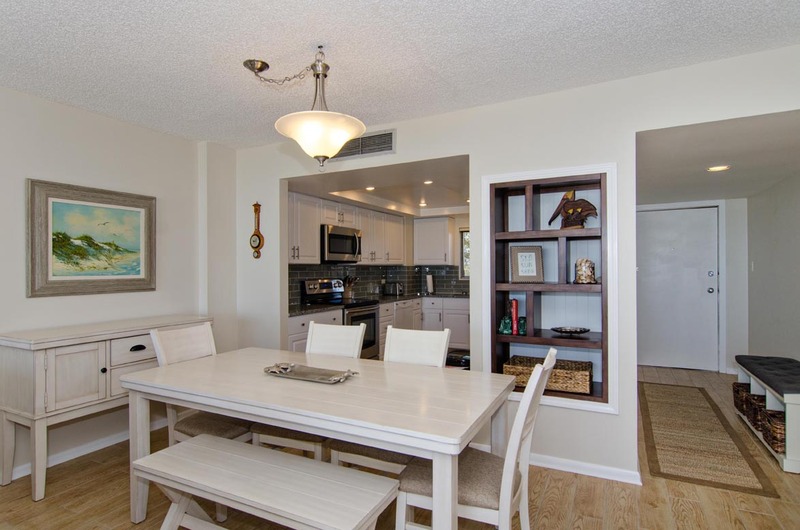 We had a wonderful time in this beautiful condo that was right on the ocean the views of the ocean from the kitchen living room and dining room are wonderful and you can sleep to the sound of the ocean in the bedroom. The condo is nicely decorated has everything you need in the kitchen and is a great place for a vacation. Great time. Windows in bedrooms need shades or shutters. Way to bright in morning. Everything else was great. We have stayed at Station One before and generally love the location and the ocean views. However, we were notified the day before we were to arrive that we would have no access to the deck. Certainly that was known beforehand! We were offered other, less central properties but chose to stay where we were since they said the view would not be obstructed. What we were not told is that there would be loud construction noise all day on 2 of the 4 days we were there. That made it impossible to nap or relax. We were given a small discount off our rate but we don’t feel that was adequate compensation for the inconvenience and annoyance. Reese- We apologize for the inconvenience you encountered at the complex during your visit. As mentioned, we notified your party as soon as we found out work was being performed to decks in the complex. As we do not manage the entire complex, only several individual units... there are unfortunately times we are not made aware of work to the exterior of complex until inspection of the unit prior to your arrival. We are happy to hear you have visited with us in the past and hope to see you again in the future. This was our first time st Wrightsville Beach. 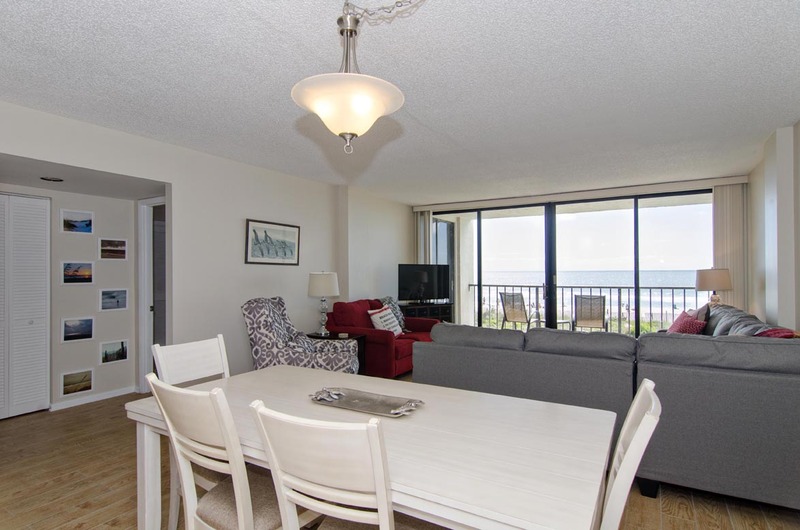 We love the condo decor, how close it is to restaurants, shopping and of course the ocean. We will definitely be back Ind stay in this condo again! This condo was updated, spacious, and contained everything we needed, including all kitchen gadgets and even comfy throw blankets. A starter supply of paper products, dishwasher detergent, etc. is provided, but it was plenty to last us through a weekend stay. The sectional sofa was very comfortable and the king bed was too. The location can’t be beat – across the street are restaurants and shops. The pool wasn’t open off-season but it looked nice. Beach access was easy through the pool area. We didn’t encounter the noise others mentioned. As of March 18 the beach reconstruction appeared to be finished. Some off-season maintenance was being done on the building (painting, waterproofing) but it didn’t bother us. Bryant Real Estate was easy to work with. We had a wonderful experience?? Carol- Glad to hear your week at the beach was wonderful, hope to see you at the beach again soon! Perfect beach stay and experience. What a great, well appointed place. Private parking and site security are a real bonus for WB. The pool area is a nice break right off the beach to meet others and cool down late afternoon after a day in the surf. Highly recommend this condo unit and complex. Well kept grounds and secure complex. Outstanding view of beach and relaxing at pool was highlight. Easy to move in and out and security staff very helpful. Perefect location walkable to everything. Great condo community and secure. 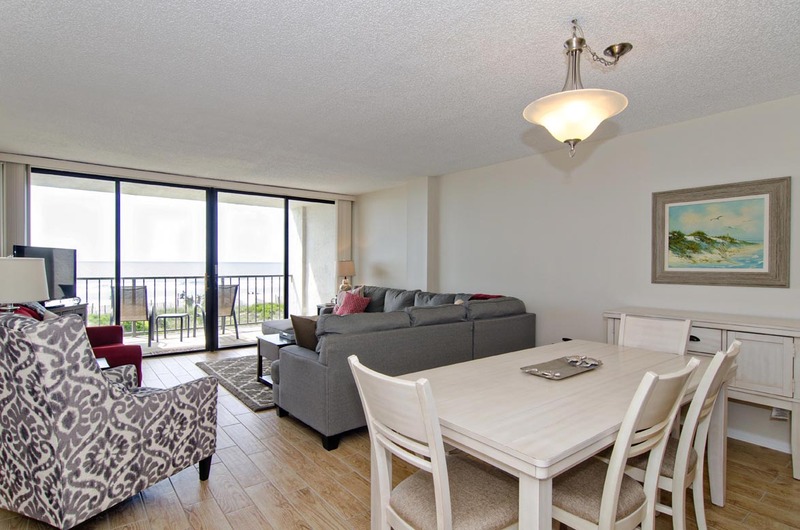 Extremely clean condo with great furnishings and decor. You can tell it's all been completely updated and they did a great job! Easy check in and check out process. We'll be back! We love this unit and will be booking it for our future vacations. Very clean and updated. We felt completely at home. 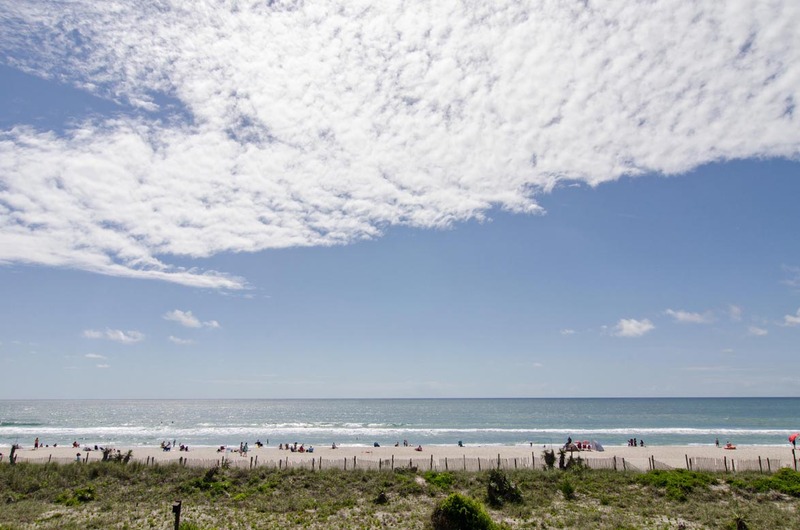 From the moment we walked in the door we knew we were going to love our time in Wrightsville beach. The view of the ocean from the living room and master bedroom is breathtaking! The condo was decorated beautifully and had all the amenities (unfortunately, the blender was not working, though). The maintenance people had to come once to fix the handle on the slider, and, unfortunately, it came off again. We contacted them again, but they never returned to fix. I think if the handle worked great and the blinds on the slider were fixed (they kept falling off) the condo would be absolutely perfect! With that said, those really were minor and the condo was not only beautiful but comfortable as well. 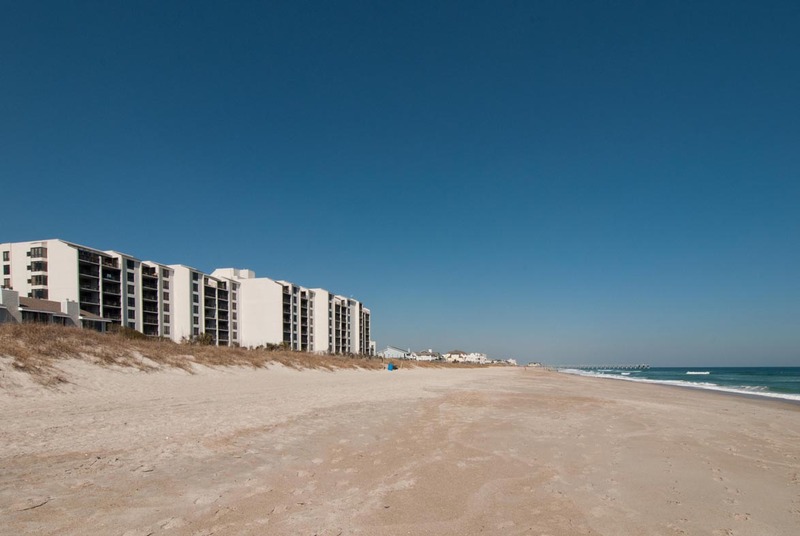 We look forward to visiting Wrightsville beach again some day, and hope to stay in this condo too! Master bed very comfortable! Great mattress! LOVED 2C!!! Can't wait to return next year! Well maintained and well stocked! Great location, beautifully decorated unit. We couldn't have asked for more. July 4th weekend is very crowded on the beach but didn't bother us. We had a wonderful time and experience. Can't wait to do it again next year. We enjoyed our stay over Christmas in this beautifully renovated condo. The location and view can't be beat. The kitchen was missing a few pots. We only had one saucepan but several lids. 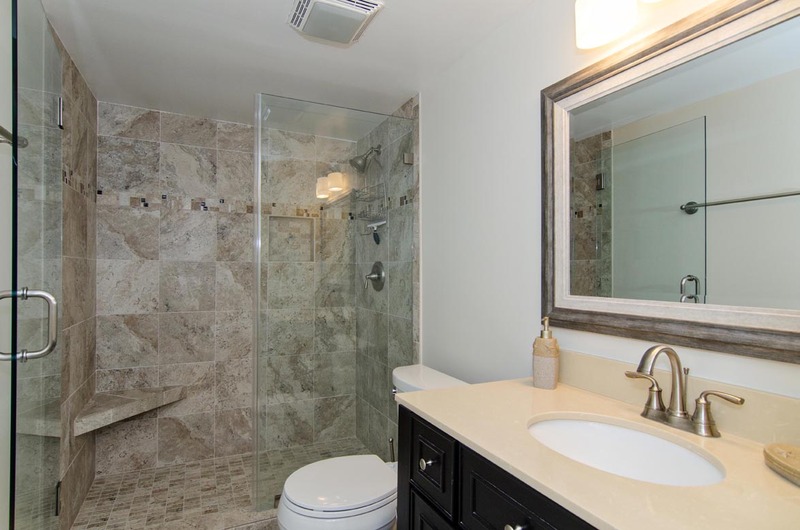 I would suggest installing towel racks in the small bathroom. I wish it had a washer and dryer in the unit; that would ensure a return rental in the summer. Without, I would not consider having to lug wet towels to shared laundry facilities. Excellent unit for a family vacation. This is our 2nd year in a row in the same unit...LOVE 2C!! 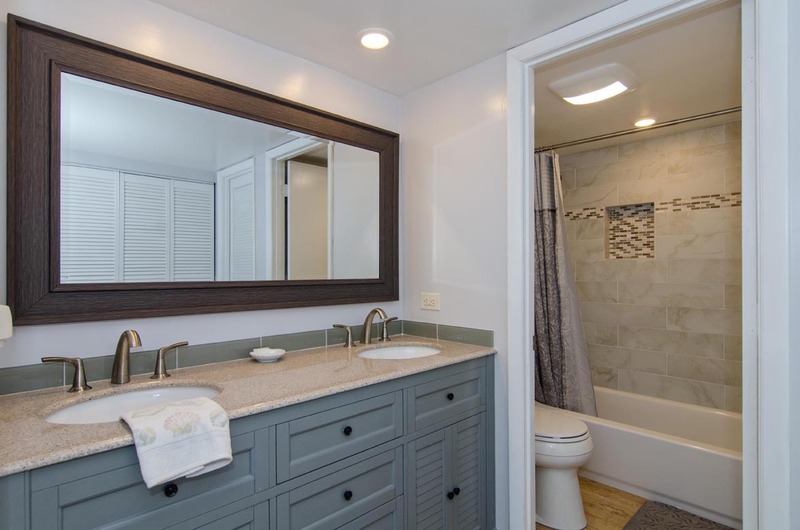 We had a great time at Wrightsville Beach in this beautifully renovated rental. It had everything we needed and I would highly recommend. I would definitely rent again! Hi Susan- thanks so much for your feedback. 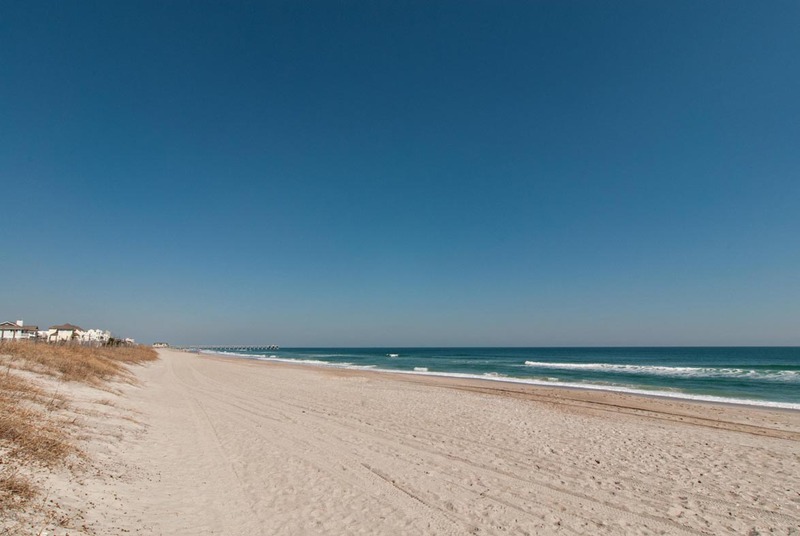 We are so glad you enjoyed your stay, and hope to see you at the beach again soon! Wonderful place to stay! 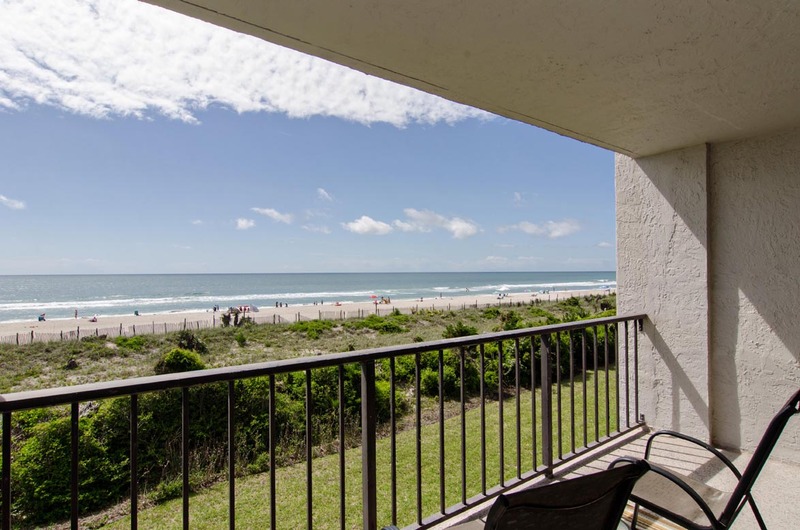 So close to everything in Wrightsville Beach and the condo was very well appointed. We felt very comfortable and didn't want to leave! Excellent home, location, and service! Home is fully remodeled and amazing. Location is perfect. Steven was outstanding! 2C at Station One is a beautiful condo. It is clean, comfortable and in a great location. Station One is our favorite place to stay. We have rented three different condos in the complex and this one ranks up at the top. The furnishings, flooring and fixtures are all brand new. 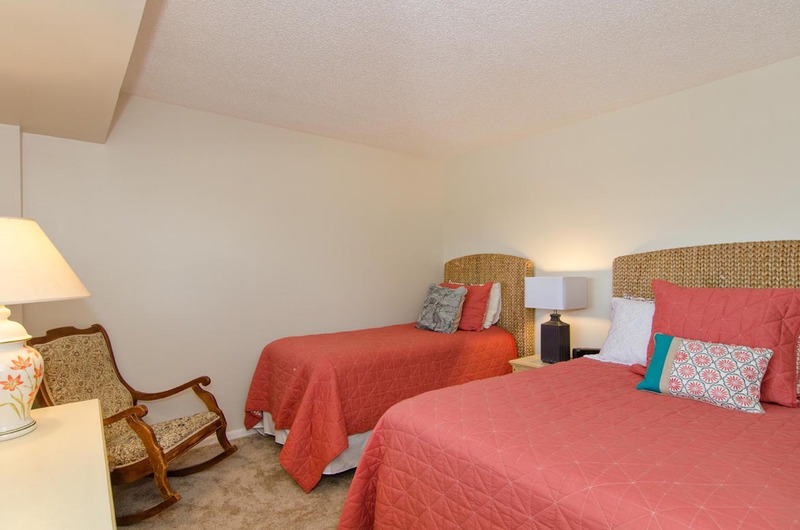 The beds are comfortable and bathrooms are modern and clean. 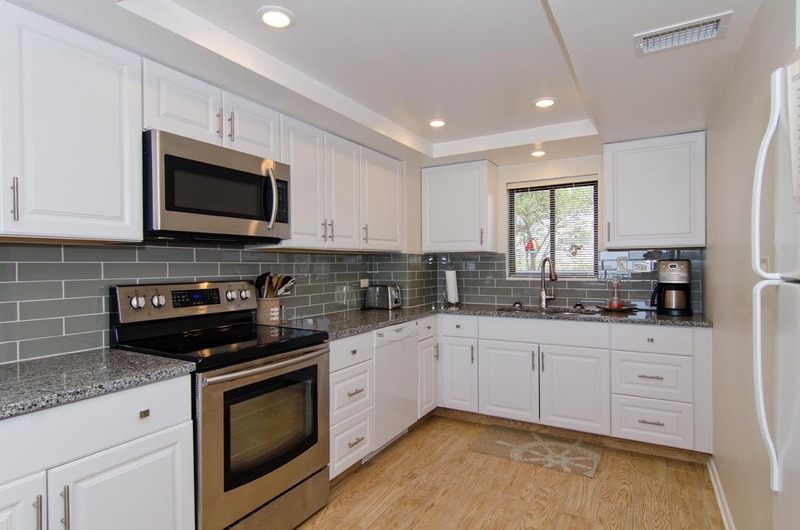 I know that this rental is new to the , I'd like to suggest that the owners add some items to better stock the kitchen: cutting boards, plastic cups and plates for kids, storage containers. Thank you for a great week at the beach. We hope to stay at 2C again! Kelley- Thank you for the feedback. We are glad to hear you enjoyed your stay and will follow up with the property owners regarding your recommendations. Hope to see you at the beach again soon!